Timothy K. Baldwin's practice is primarily that of an appellate litigator. He also represents clients in business litigation and employment matters. Tim has read every published decision from the Rhode Island and United States Supreme Courts from October 2012 to the present. He is an excellent researcher, writer and drafter, and persuasively applies the facts to the law both in written and oral form. He researches a wide array of issues arising in civil and criminal litigation, and monitors legal developments in state and federal courts. 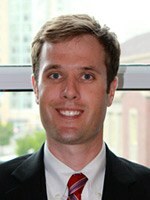 Tim has significant expertise in criminal reentry issues, and assisted in the creation and ongoing support of H.O.P.E. Court, the first federal reentry court in Rhode Island. 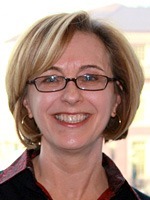 Sara Rapport emphasizes her practice on labor and employment law. She represents school committees and other municipal employers in negotiations, and before administrative bodies and in the courts. On a daily basis Sara advises employers regarding best practices and compliance with federal and state labor, employment and education law. She also regularly prosecutes interest arbitration hearings on behalf of municipal employers. Sara has represented an employer in Superior Court and before the Supreme Court, successfully defending against a complex claim seeking injunctive relief, and prosecuting a matter of first impression addressing the intersection of state education and labor law. Matthew H. Parker’s practice is focused on employment litigation, business litigation and labor law. He represents employers and individuals in federal and state courts, and he is also experienced practicing before administrative agencies such as the R.I. Commission for Human Rights and the U.S. Equal Employment Opportunity Commission. 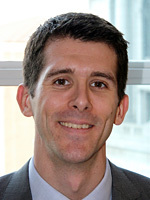 Among other issues, Matt has litigated contract and insurance disputes, benefits claims, discrimination claims, collection actions, and tort actions. He is a native Rhode Islander, and a member of the boards of directors of the Providence Community Boating Center and the East Side/Mount Hope YMCA. In his free time, Matt is a competitive sailor and squash player. Timothy Cavazza's practice is concentrated on management-side labor and employment law, and related litigation. He works extensively in the area of labor relations, advising and representing employers in unfair labor practice proceedings, collective bargaining negotiations and grievance and interest arbitrations. Tim also represents employers in employment litigation matters before state and federal courts and administrative agencies. 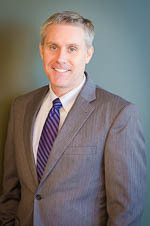 In addition, Tim counsels employers in all aspects of labor and employment law. Prior to beginning his legal career, Tim worked in the commercial construction industry for several years in both unionized and non-unionized environments. During much of that time, Tim worked as a foreman/general foreman for a large Boston-based labor and demolition subcontractor with a unionized workforce, and he managed numerous commercial construction projects for the company throughout Massachusetts and Rhode Island. Tim’s hands-on labor relations experience provides him with real world skills and unique insight into the issues presented by both unionized and a non-unionized workforces. Rhode Island Employment Law Letter provides a three-part subscription package to deliver the practical, hands-on advice you need to manage your Rhode Island workforce safely and in compliance with Rhode Island and federal laws. That's because the newsletter's editors are Rhode Island attorneys who defend and counsel employers statewide. Each issue also keeps you on top of Rhode Island court and U.S. Supreme Court decisions that affect your workforce, all reported with Rhode Island's local laws and policies in mind. You get the information you need to stay in business — and out of the courtroom. 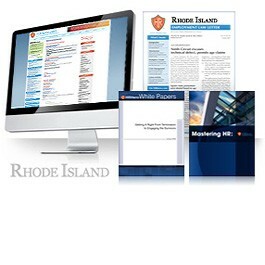 Rhode Island Employment Law Letter — 12 monthly issues mailed to you and also available online. 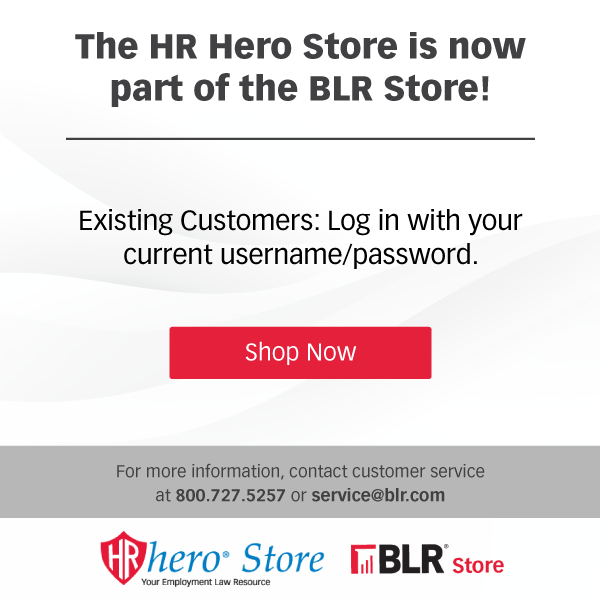 (Digital-only versions are available with an HRLaws subscription) You also receive email notifications once a month and periodic News Alert by email as needed. GUARANTEE: Your 100% satisfaction is guaranteed. If for any reason you are not completely satisfied with Rhode Island Employment Law Letter, simply let us know within 90 days, and we will issue you a complete refund.